A mad march hare plays hide and seek inside the shade of this adorable table lamp becoming a charming fixture in your home. 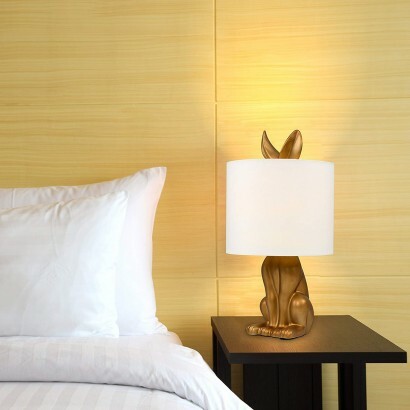 Available in matte gold, or matte white, each colour supports a white drum shade in a neutral colour scheme that will suit most interiors. 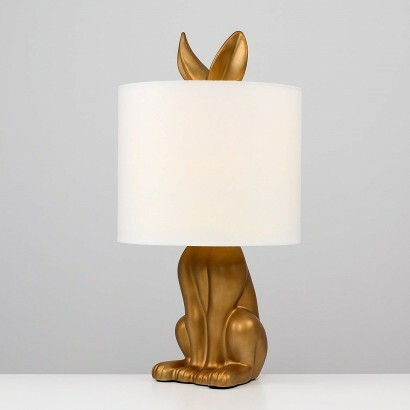 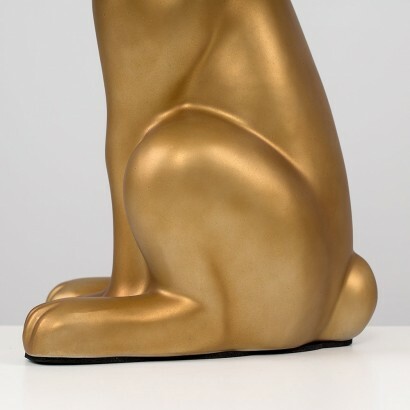 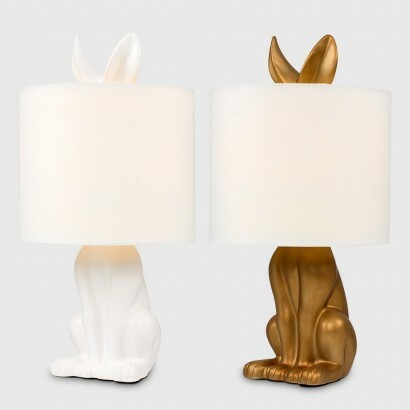 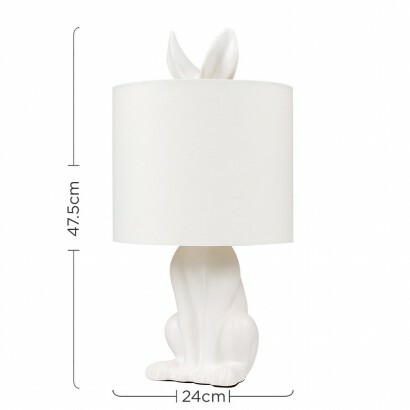 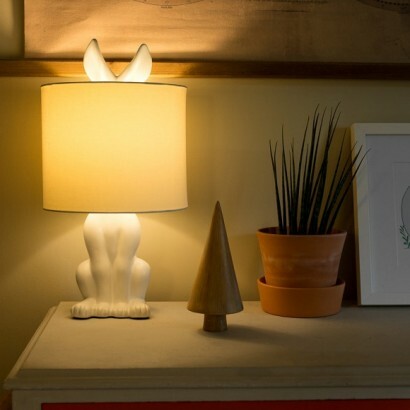 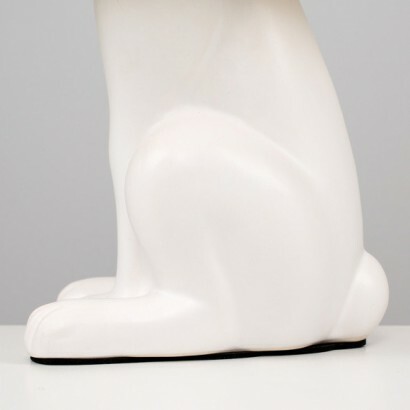 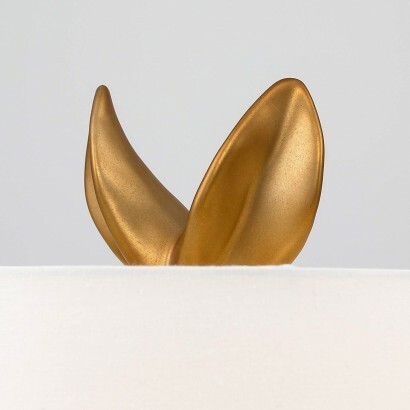 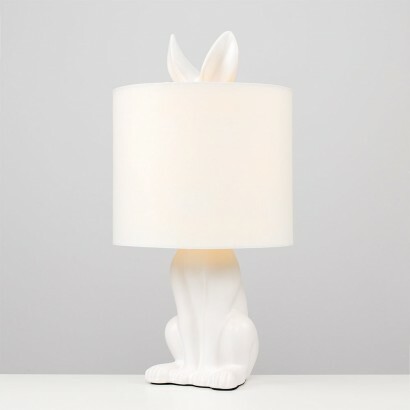 Sitting tall, with the hare's ears playing peekaboo out of the top of the shade, this adorable lamp adds character to most rooms in your home giving a playful but designer feel to your space.